Living in a heavily wooded, semi-rural area allows my caveman tendencies to surface on occasion, particularly when it involves fire. 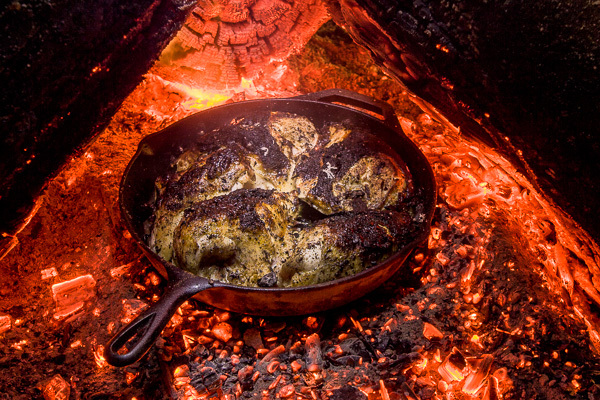 Brine chicken in a cast iron skillet. My digital heat gun measured the coal temperature at 798° which means the chicken is done in 15 minutes. 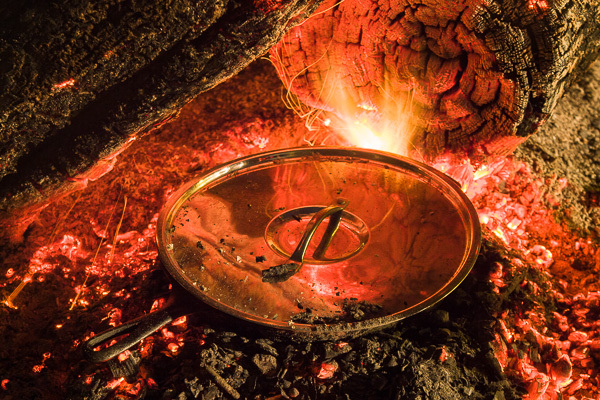 Cast-iron retains heat well, so be mindful of cooking time on the coals to when you actually serve. 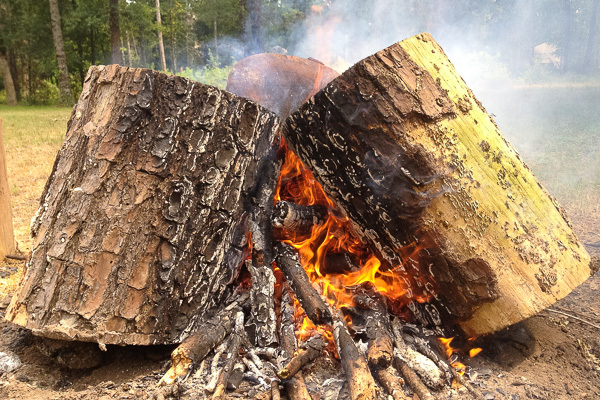 I prefer to create a heat dome of large logs containing the coals and embers as the cooking surface. I have a couple grates that I use on occasion to level the surface or gain some height if I need it. 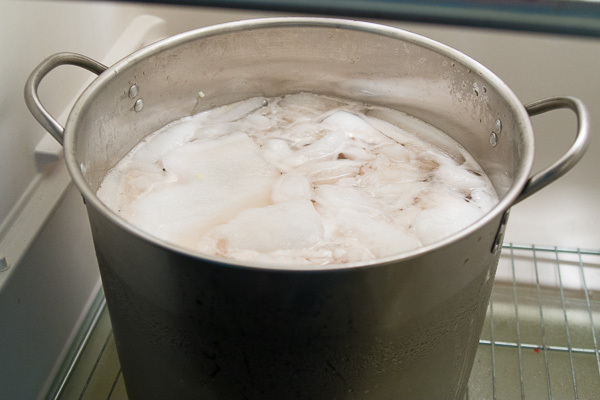 Earlier, bring a 1/2 gallon of water, 1-cup each of brown sugar and salt to a boil, cool quickly with ice then add red wine, oranges, lemons and limes, followed by your yard-bird. Refrigerate a minimum of 4 hours, better still, overnight. 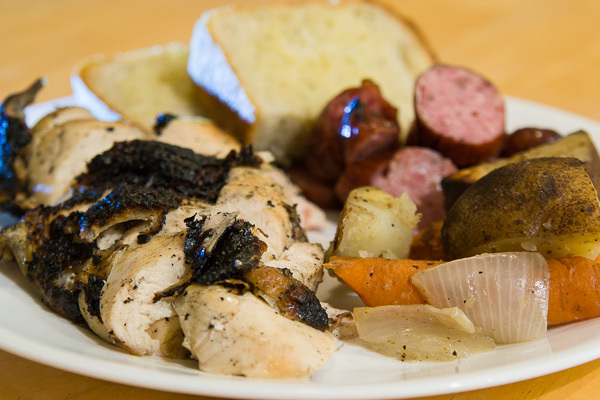 Citrus brined chicken, sausage with Dutch-oven prepared vegetables and from-scratch herb bread.